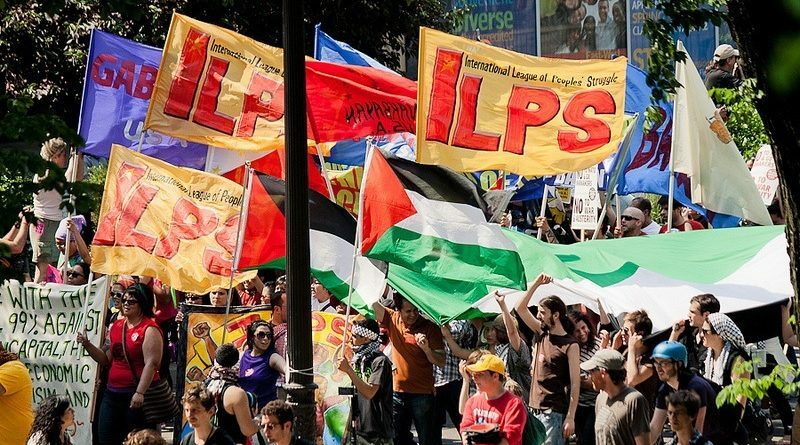 Please be informed that the six members of the International Coordinating Committee of the ILPS based in Europe are hereby called to a meeting at 10 a.m. on Saturday, 6 February, 2016 in Utrecht, The Netherlands. In alphabetical order of surnames, the six ICC members are: Michelle Allison (Kurdistan National Congress, Kurdistan-UK), Mohammed Khatib (Samidoun Political Prisoners Network, Palestine-Belgium), Mustafa Kilinç (Reality Newspaper & Film Co., Kurdistan-Germany), Paloma Polo (Unrest Project, Spain-Netherlands), Jose Maria Sison (International Network for Philippine Studies, Philippines-Netherlands), and Veerle Verscheuren (IBON Europe, Belgium). Please bring and present information and ideas about the above topics. You may also suggest additional topics for discussion. You are expected to take care of your own transportation to and from the Netherlands. But when you are in The Netherlands, the ICC of the ILPS will take care of your board and lodging from the time of your arrival to your departure from the following address: Amsterdamsestraatweg 50, 3513 AG Utrecht, The Netherlands, Tel. 030-2310431. As soon as possible, please inform us in advance whether you can attend the meeting in person. In case you cannot be present in person at the meeting, you may still be considered present by appointing a proxy to represent you and/or using the skype to join the meeting. Our skype addy is ilps2011. Please tell us what is yours. If you attend the meeting in person, you shall be able to attend the book launch of Crisis Generates Resistance by the undersigned and the launch of a new youth organization inspired by the ILPS. Please acknowledge receipt of this memorandum immediately. Thank you.